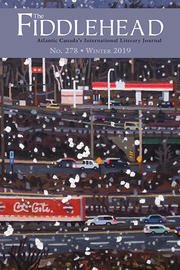 November has been National Novel Writing Month (NaNoWriMo), and on Sunday, Dec. 4, odd sundays will offer local novel writers an opportunity to read from their work. 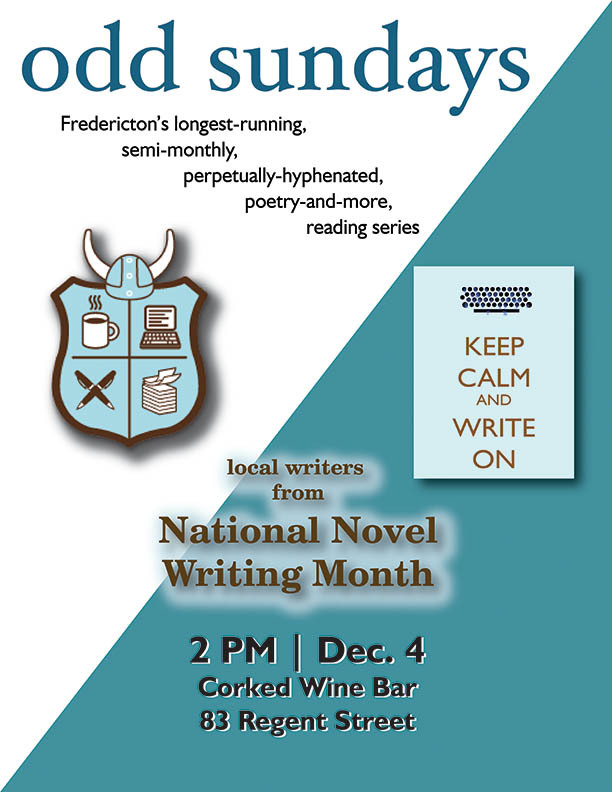 So come to Corked Wine Bar, 83 Regent St. at 2 P.M. on Sunday, Dec. 4, to hear some of the Fredericton participants in NaNoWriMo 2016 read excerpts from their novels. - A murder set in a tourist-trap museum complete with mini-putt. - Two brothers cope with adult life after violence disrupted their childhood. - A regular guy refuses his superhero call to action and walks away from power. - Mismatched almost-humans embark on a quest, each looking for a different thing and each finding something else. You can be sure it will be fun, and filled with snippets of novels that didn’t exist one short month ago. These are stories written by people who accepted the NaNoWriMo challenge and spent November pounding out words in an attempt to reach the brass ring of 50,000 words. Please note: this will be the last ‘odd sundays’ of 2015. Until we gather again on January 15, the odd sundays collective wish you all a happy celebration of the season.